This page summarizes seed production information that was developed by the Seed Biotechnology Center at UC Davis for SeedQuest and aggregated for eXtension. Image Credit: The Seed Biotechnology Center at UC Davis. This page summarizes seed production information that was developed by the Seed Biotechnology Center at the UC Davis for SeedQuest and aggregated for eXtension. Genetic purity is a measure of seed quality based on contamination by other varieties and species. Genetic impurities occur when seed becomes contaminated with seeds of other species and when the seed itself has resulted from pollen contamination. For more information, see genetic purity. Hybridity tests are used to determine parentage and purity of hybrid seeds. Hybrid seeds are produced by controlled pollination between parental varieties. Hybrids often have improved vigor compared to their parents and are commonly favored in agriculture and gardening. Hybrids are not true-breeding, meaning the offspring of hybrid plants do not have the same characteristics as their hybrid parents. Therefore, hybrid seed must be purchased each growing season. Hybridity and varietal purity tests ensure that hybrid seeds are of good quality. For more information, see hybridity test. 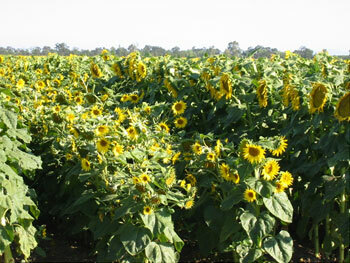 Isolation of flowering plants is important in seed production to minimize exposure of flowers to contaminating pollen. Isolation can be physical separation or separation based on flowering times. For more information, see isolation. Seed Biotechnology Center [Online]. UC Davis Department of Plant Sciences. Available at: http://sbc.ucdavis.edu/index.htm (verified 27 March 2012). SeedQuest [Online]. SeedQuest. Available at: http://www.seedquest.com/ (verified 27 Mar 2012).